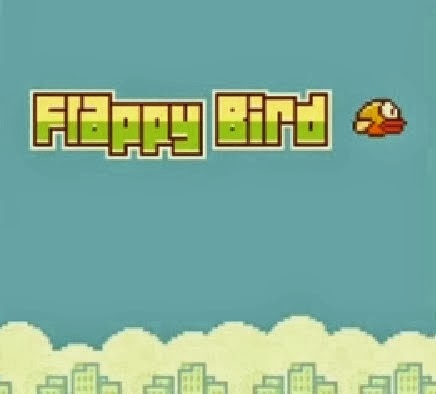 Flappy Bird is a 2013 mobile game, developed by Vietnam-based developer Nguyễn Hà Đông (Dong Nguyen) and published by .GEARS Studios, a small, independent game developer also based in Vietnam. 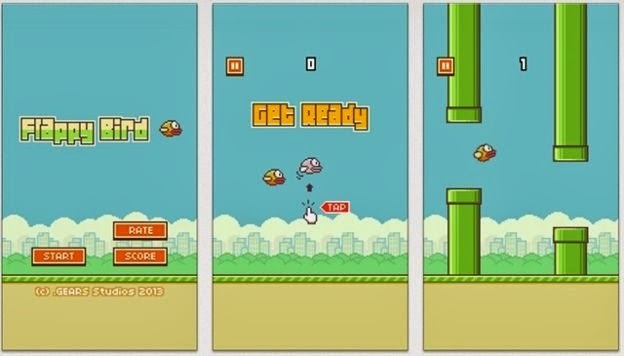 Flappy Bird is really an awesome Game which I think all of us had played.The game was released on May 24, 2013 but received a sudden rise in popularity in early 2014.At the end of January 2014, it was the most downloaded free game in the iOS App Store.During this period, its developer claimed that Flappy Bird was earning $50,000 a day from in-app advertisements. But Suddenly Flappy Bird was removed from both Apple's App Store and Google Play by its creator on February 10, 2014, due to guilt over what he considered to be its addictive nature. The game's popularity and sudden removal caused phones with it pre-installed to sell for high prices over the Internet. So, Its not currently present in the market anymore "Officially". But at "The Software Blog" We will provide you with the apk and ipa files for your Andoid and IPhone respectively.So You Can simply download the file and transfer it to your phone and Enjoy the Game. Download Flappy Bird from the links given below. Now For Android, You Can simply transfer the .apk file using simple file transfer technique.Just Connect the phone to your PC and send the .apk file to your Android Smart Phone. You can use the iTunes Software to transfer the .ipa file to your iPhone or You can also use the iFunBox software to easily transfer the .ipa file to your iPhone. Next, Just Install the app and Enjoy ... !!! Thats it...Just Enjoy this Small Puzzled Freaky Game.I Know Its Small but its really tough.So you might face some problems at first but after some practice you get your hands on it. Your Sharing is our Strength....So, Please Share ....!!!! Make a +1 if You Liked The Post....!!!! Copyright © 2013 The Software Blog.